The world’s FIRST recording Beatles Cover Band ! 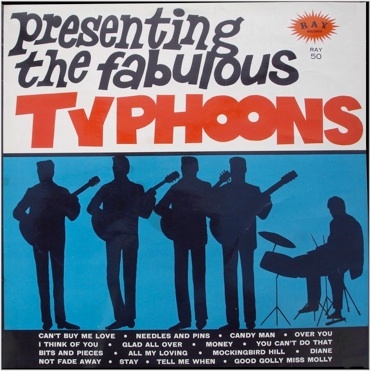 Whenever Embassy is mentioned on the radio or in articles, the question always comes up: Who were The Typhoons and how did they come about? Usually followed by a wooly answer that they were whoever was booked for the session that day. Well, now we can do a bit better than that. Using Ray Pilgrim’s diaries and session listings from 1963-65, plus Stuart Ralls’ uncanny capability to recognise and pick out individual voices, even within a group of singers, here’s about as definitive an answer as it is possible to get. 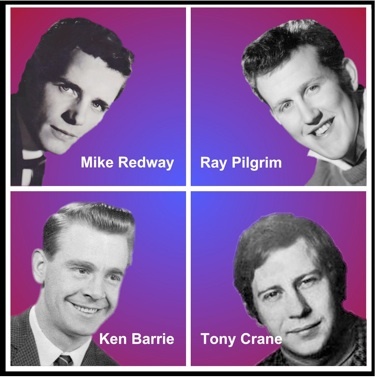 The quick answer is that they were mainly Ray Pilgrim, Mike Redway, Ken Barrie and Tony Crane, although Joan Baxter occasionally provided the female content and Paul Rich did do one Typhoons track. Plus of course the ever-present Mike Sammes Singers in the background.